Chocolate sales in China are forecasted to be the country’s fastest-growing confectionary sector through at least 2016. Meanwhile, Brazil, the 6th largest producer of cocoa beans, can’t keep up with its own demand. Between 2003 and 2011, India and Brazil’s cocoa consumption more than doubled, and China’s consumption more than tripled. This increase is expected to continue into the future. It is estimated that by 2020, chocolate demand will outstrip production by over 1 million tons. At the same time, the cocoa industry is facing challenges in meeting the growing demands of the markets due to weak production growth. Almost 90% of the global cocoa supply comes from approximately 5 million smallholder households primarily from the tropical climates of Western Africa, Latin America and Asia. Each of these smallholders solely produce an average of 0.5MT per Ha. These farmers face ageing orchards which, as they get older, decline in productivity and are more exposed to diseases. Smallholder farmers often lack the knowledge and resources to employ best agricultural practices, and use modern fertilizers and pesticides. Farmers are further hindered by limited access to markets. In addition, the average daily income per capita for cocoa farmers in West Africa is less than 2$ per day, which leads the young generation to move to urban areas while the remaining farmers are switching to more profitable crops like palm oil and rubber. The growing demand and constrained supply of cocoa presents an attractive investment opportunity.  The need for a stable supply of cocoa - with guaranteed quality - provides a window for a knowledgeable, proven agribusiness team to enter the early phases of the supply chain. At capacity, cocoa farming and processing can produce some of the highest returns-on-investment in the agriculture industry.